This afternoon Macbeth opened to a house of students (and some members of the public) generously sponsored by G&S Landscape and Excavation Service. The Starpheonix also published a great article and video about the production. Read the story and watch the video here! A full day of Catan! 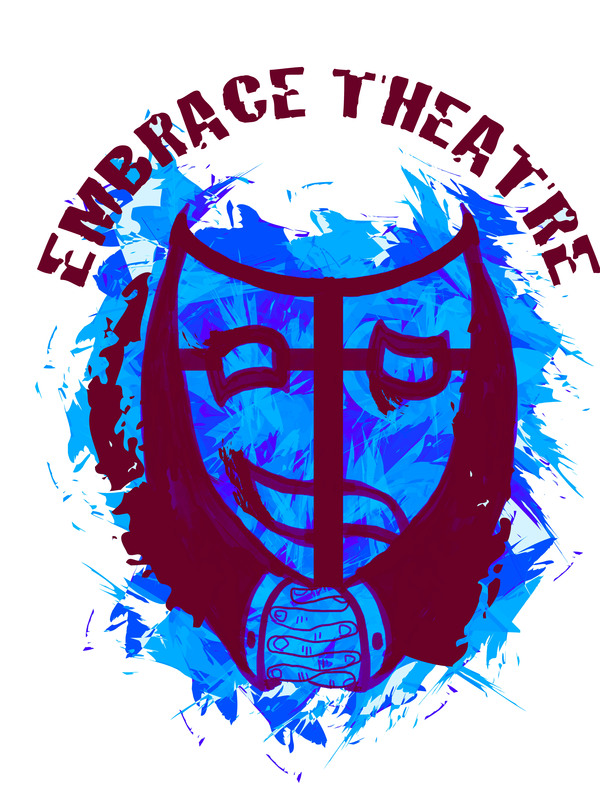 Join Embrace Theatre for a Settlers of Catan Tournament of epic proportions, and help us raise funds for our upcoming production of The Clockmaker by Stephen Massicotte! The Tournament runs Saturday November 8th from 11:00 am – 7:00 pm at Louis Pub on campus. All the info can be found right here. Ever wanted to know what goes into making theatre? 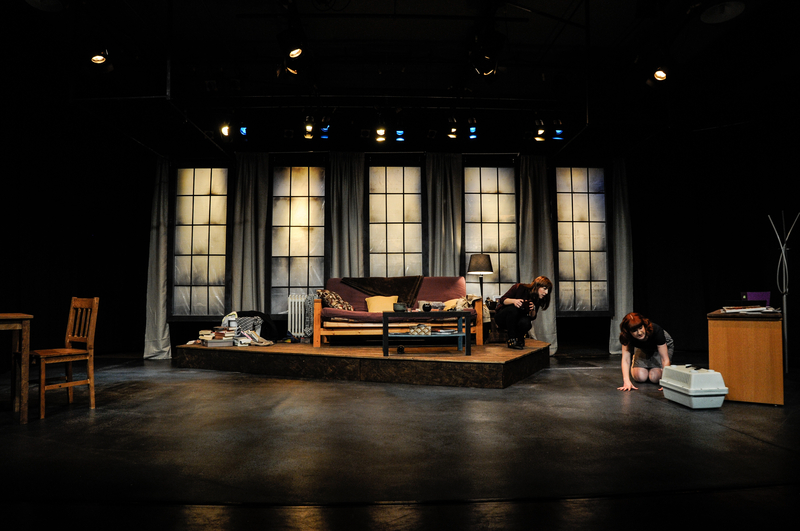 How exactly does the play you see on opening night come to be? We want to show you! 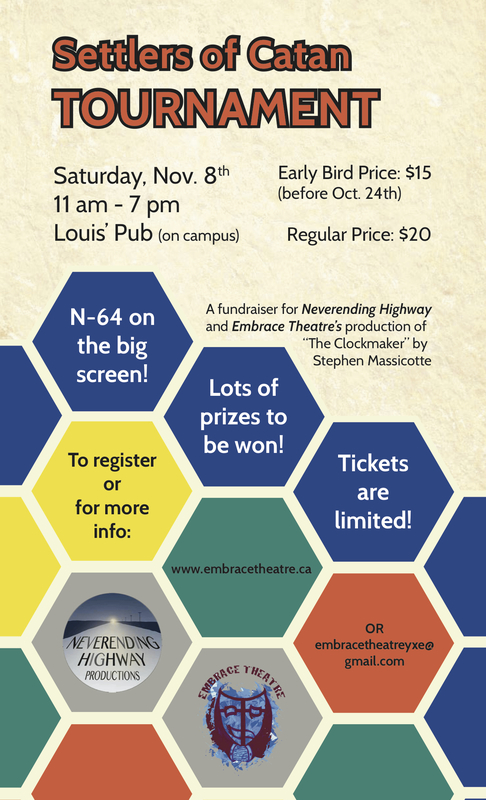 Neverending Highway and Embrace Theatre are seeking a member of our audience to come behind the scenes and learn about our theatre-making process, and then document it in a series of videos to be posted online. 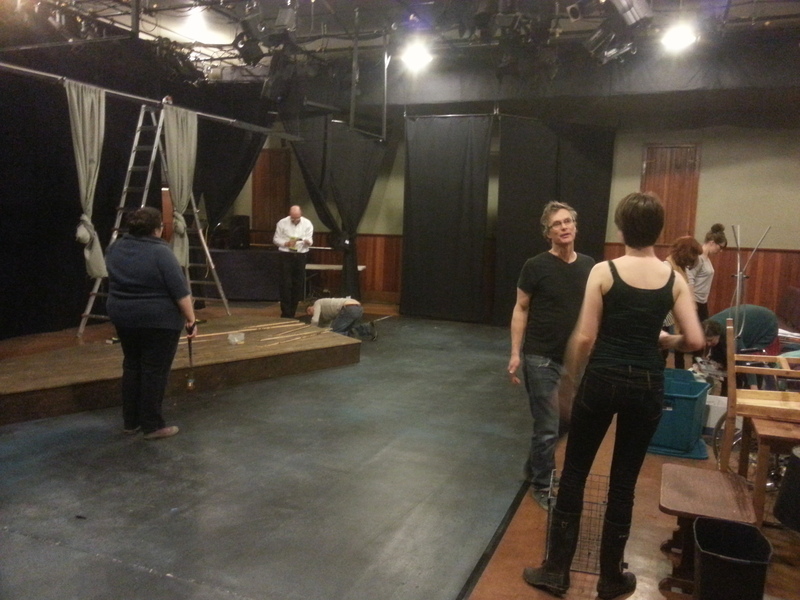 We are giving one audience member unparalleled access to our entire rehearsal process for our upcoming production of The Clockmaker at Live Five. Pre–production work is already underway, but only a few hours in October and November will be needed. We enter rehearsals in December, and then a few hours every week or so will be required (we are taking time off for Christmas, of course!). In January we reach the height of our rehearsal process with tech week January 11-14th, preview January 15th, and opening night January 16th. Submit a 1-2 minute video of yourself explaining why you should be the one to come backstage. Send it to us by October 20th. We’ll choose our collaborator by November. Check out some video sneak-peeks of the work we’re doing on Saskatchewan Outdoors: A Touring Play For Families! Check out our performance dates here.